Our Warwick, Providence, and Pawtucket customers have been raving about the 2018 Toyota 4Runner and it’s easy to see why. This vehicle is capable like an SUV, performs like a truck, and gets the gas mileage of a sedan. What more could you ask you? Make your way down to Balise Toyota of Warwick for a test drive behind the wheel of a new Toyota 4Runner! Of course, you’ll get these features and so much more with the Toyota 4Runner. 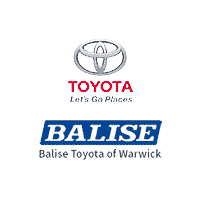 We invite you to visit Balise Toyota of Warwick to view our entire inventory. Once you see a 4Runner you like, don’t forget to speak with our on-site financial experts. From all of us from Balise Toyota of Warwick, we look forward to seeing you soon.